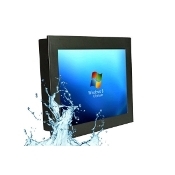 We offer a wide range of in-wall or on-wall VESA mountable Panel PCs both Android, Windows or Linux all-in-one systems that are widely used in a number of applications including Home Automation, HVAC, conference room reservation & scheduling, employee time and attandance and interactive POS digital signage. 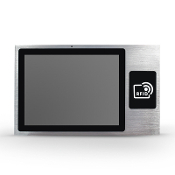 These wall or glass mounted PoE (802.3af or 802.3at) based Android OS tablets and touchscreen panel PCs are designed for office conference or meeting room booking & scheduling. WThese PoE systems are ARM based with a low power footprint of less than 15W. 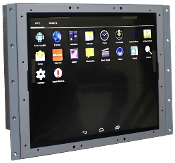 A special feature of these displays is the built-in support for PoE (802.3af) which makes them ideal for deployment in facilities or locations where power outlets are difficult to reach. Simply connect the PoE/RJ45 cable to the back of these units and you are ready to go. These PoE systems offer low cost alternative to other solutions where both a power cable and RJ45 cable is required to interface to a tablet or panel PC. With less moving parts and built-in PoE these units offer economical and highly secure means of managing meeting rooms. 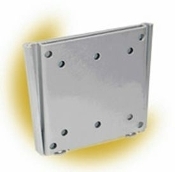 Besides PoE, we offer standard ethernet or WIFI or RJ46 Interface based wall mountable systems in sizes ranging from 7" to 32". 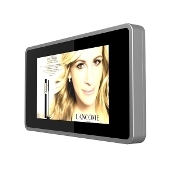 These systems can be on-wall mounted and are suited for interative media and advertising and industrial control.